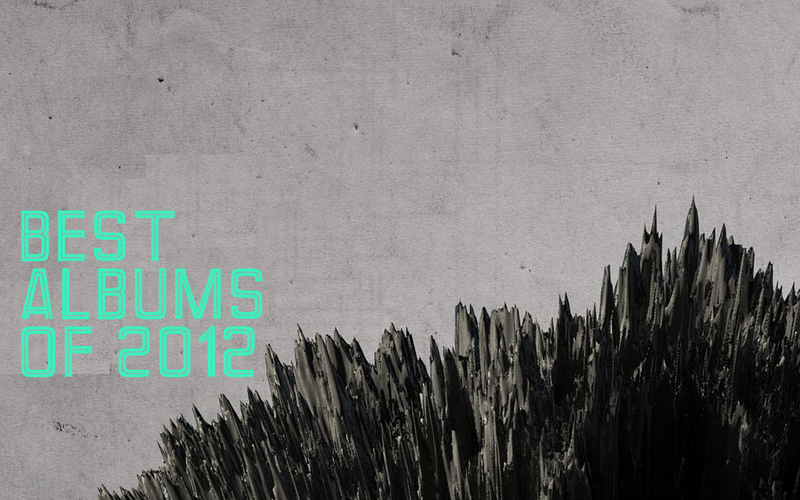 A look back at the past year in music – Discosalt Magazine’s “Top 10″ best albums of 2012. 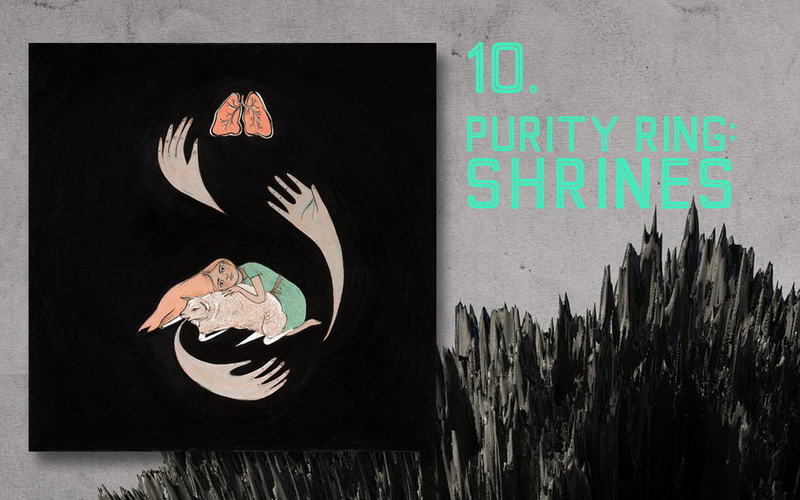 If ‘sleep is a welcome gadget’ for Canadian electro-pop duo Purity Ring, then Shrines is what pop dreams are made of. Together, Corin Roddick and Megan James blaze fearlessly into the future with clean pop melodies that conjure surreal dreamscapes of the arcane. Roddick lays out a dense ephemeral fog of sensual beats underscored by Megan James fearful and fragile voice, driven by corporeally obsessed lyrics that are appealing to both hip-hop and french house enthusiasts, alike. On Shrine, Purity Ring utilize technology to create a sound that is, surprisingly, the complete antithesis to the future – an album more about bodies, than computers. Spaceman Pierce has landed. 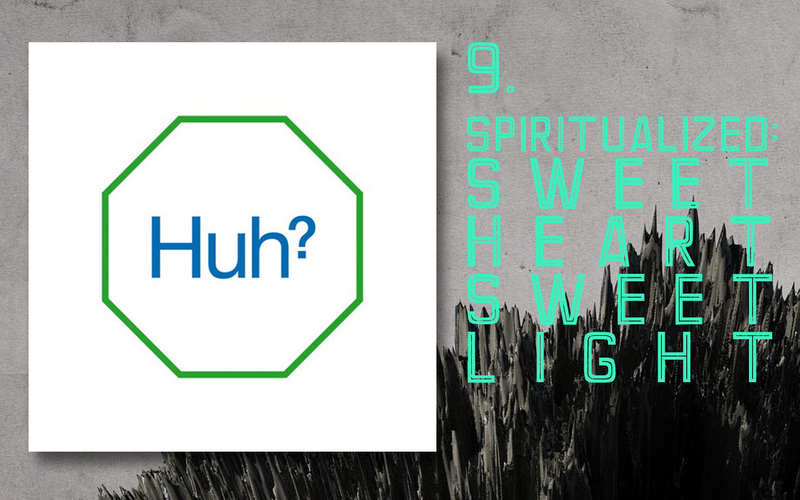 Sweet Heart Sweet Light may amount to the best (certainly, the most accessible) Spiritualized album since 1997’s pill-infected Ladies and Genteman We Are Floating in Space. A surprisingly uplifting eulogy to classic rock’n’roll, elevated by sweeping church orchestras and choirs. This is less of a departure album, and more a refined statement. The album art, Huh? refers to Jason Pierce’s mental state while mixing this album over an eight-month brain-fogging hospital stint, fighting degenerative liver disease with experimental chemotherapy treatment. Rebounding from the experience, Pierce emerges anew – crystal clear and grounded. Singing, once again, about Jesus, fast cars, pimps, fire, pain, death and depression, but this time around with both feet on the ground. 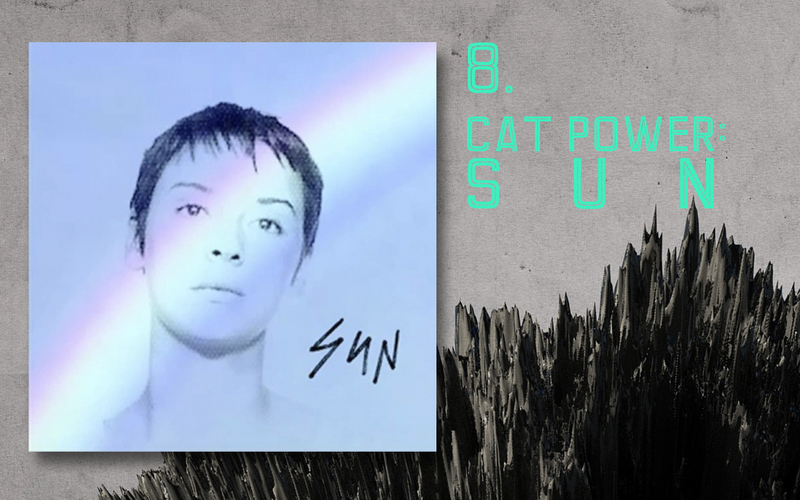 Longtime Miami indie Goddess Chan Marshall was born again in 2012 with a short, cropped, breakup haircut and the first Cat Power album of original material in over six years. Transformed by her struggles as an artist, Marshall revisits her roots and comes into her own with this collection of moody, bluesy, songs layered by drum machines, synths and beautiful background vocals, which help showcase Marshall’s seductive, whispered croons and clever wordplay. If that isn’t enough, Marshall raps on the album and there is a surprise appearance from Iggy pop in the middle of the ten-minute Velvet Underground homage “Nothin But Time”. No one could accuse Dirty Projectors leader David Longstreth of doing the same thing twice. 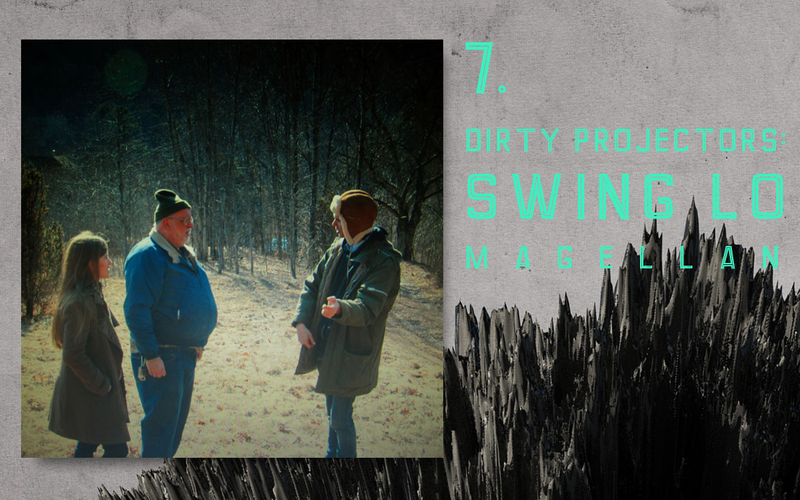 Swing Lo Magellan is a poetic art-pop album, matching warm and personal music with outlandish intellectual ideas that is eclectic, without being esoteric. For a band constantly experimenting with their own sound, this album is no exception. More “beat-driven” and accessible than any Dirty Projectors previous albums, Longstreth has cited a slew of influences here, ranging from Nirvana, Lil Wayne, Michael Jackson, Neil Young, En Vogue, Blind Willie Johnson to classical composers Arnold Schoenberg and György Ligeti…and maybe even a little Dylan. 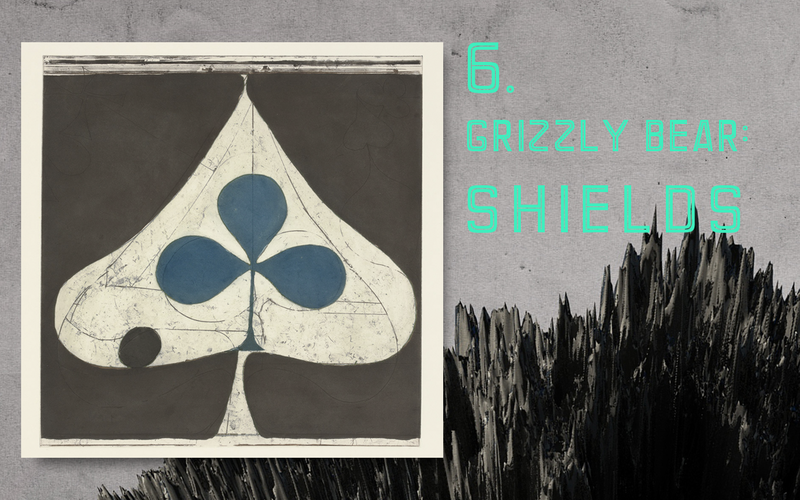 After a long three year hibernation, Grizzly Bear awakes, evolved, lurching with a thundering new record and some teeth. A record, as much about coming together as it is about falling apart, Shields is an unpredictable album that re-defines the band’s group dynamics and takes comforts in it’s own imperfections. Showcasing guitarist Daniel Rossen‘ s expressive six-string style and “psychedilic tempest” songwriting abilities, this album is a stormy swirl of aggressive guitar swells building into roaring climaxes that is quite unpredictable. But while it explores a wide range of themes, textures and sounds, it is ultimately the unpredictability that makes Shields such a rewarding listen. 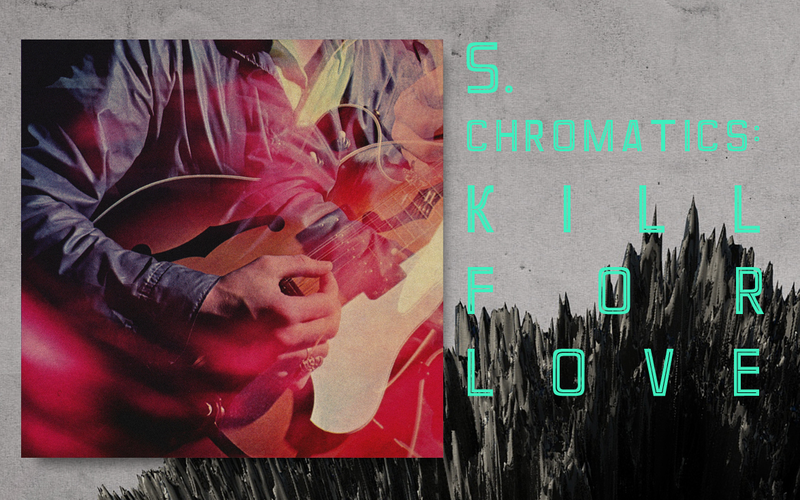 Portland’s Chromatics are yet another band to return to the 2012 musical landscape, after a long hiatus. Matured and introspective and heavier on male vocals, Kill For Love plays out like a warm ocean breeze after dark – a long way from the band’s punk inspired beginnings. With haunting guitar riffs, simple synths, gentle vinyl crack sounds and a re-named Neil Young cover that opens the album, Chromatics craft a dark and beautiful album with cinematic scope. 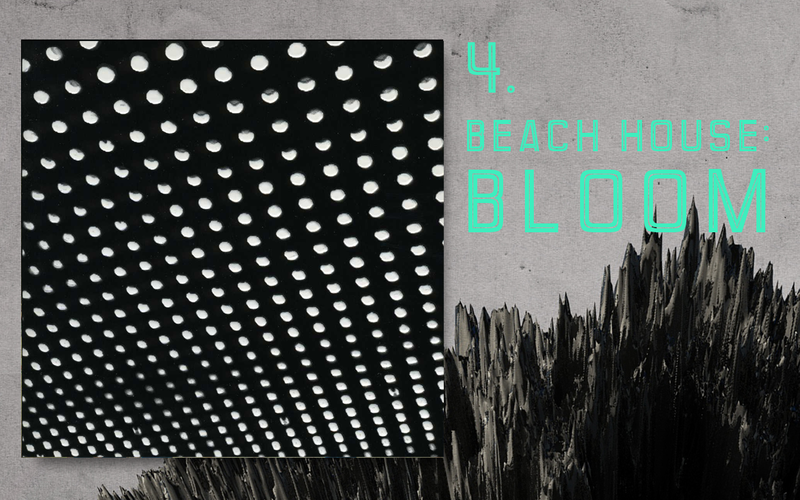 Beach House’s Alex Scally describes Bloom as “a huge crystal, spinning in a cave with Star Wars figurines.” The quintessential summer album, Bloom is heavy on melody – elevating the bands breezy sonic themes into an intoxicating collection of atmospheric organ and reverb-drenched guitar songs, still grounded by the bands signature vocals. 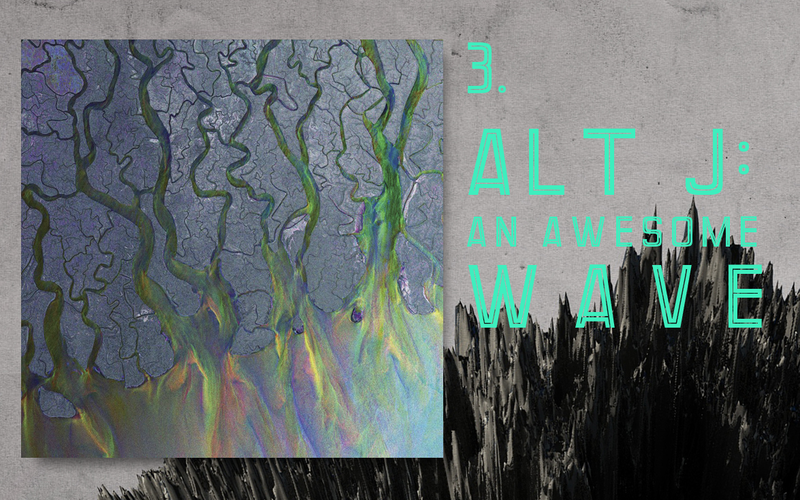 Leeds quartet Alt-J (aka ‘triangle’, aka △) not only wrote one of the most diverse and addictive albums of 2012, but successfully created a new “non-genre” genre. Exploring a variety of music styles, including pop, folk and R&B, Alt-J masterfully piece together a beautifully rounded puzzle of style and influences. Nasally, blues-like vocals gush over dark, fuzzed-out bass -lines, guitar scratching, island beats and intricate vocal harmonies that are never short on literary references or imagery and never feel over-complicated or too ambitious. While most husband-and-wife indie pop duos can induce nausea, Denver’s buzz band Tennis, deliver effortless lo-fi beach pop that is as romantic as the nautical adventure spawning the duos collaboration. 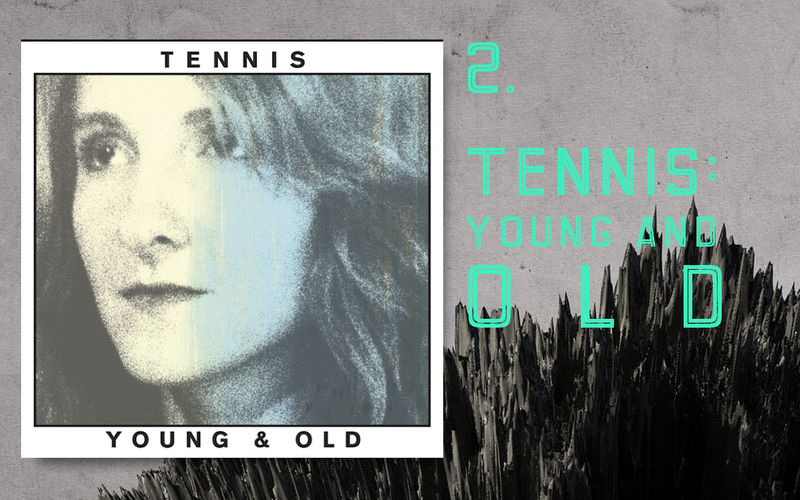 Produced by Patrick Carney (The Black Keys), Young and Old is grounded in a retro sensibility that surfaces extra layers of vocal harmonies, jangly guitars and 60’s organ from beneath the fuzz pedal. A sincere sophomore effort that maintains the simple songwriting beauty of Cape Dory – a collection of songs about love, loss and inertia. But, this time around, there is much more anxiety and volume, ensuring each song has more depth and texture. Another warm, swirling, psychedelic, sonic cruise with dizzying atmospheric guitar hooks, washing over both brash and vulnerable sounding moody vocals from Aussie rock outfit Tame Impala. Taking cues from Innerspeaker track “Solitude Is Bliss”, Lonerism is an entire album about alienation and the power of one – what front-man Kevin Parker describes as “the idea of being someone who doesn’t feel part of the rest of the world”. Like Innerspeaker, there is comfort in this album’s nostalgia – a harmonic tribute to psychedelics pop past – with nods towards the Beatles, Hendrix and Floyd. But, Lonerism manages to ameliorate mere 60′s revisionist rock, and emerge intensely modern and new, with a sound quality only possible in 2012. 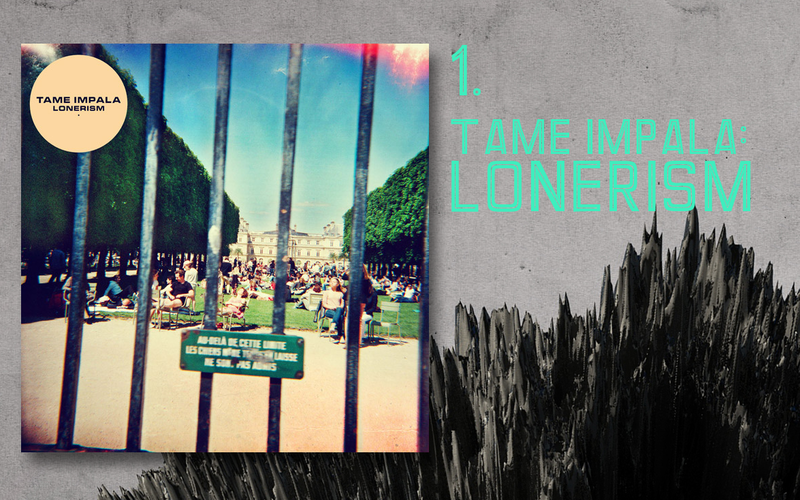 Both larger in scope and sound than it’s predecessors, Lonerism drives it’s influences into an entirely new direction, making it the most immersive albums of the year.